I’ve always felt that creative photo gifts for Father’s Day make some of the best gifts of all. Because for busy dads — and okay, moms — ordering prints or printing photos tends to get buried on the priority list. 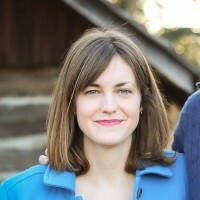 If you want to go beyond a photo in a frame (though that can be nice too!) 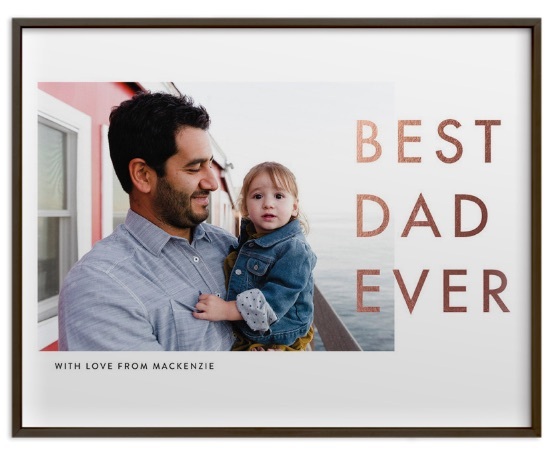 I found so many creative photo gift ideas for dads and grandpas. From playing cards to socks (yes, socks! ), even affordable and incredibly sweet photo books, they all become keepsakes that remind him of his favorite people in the world. 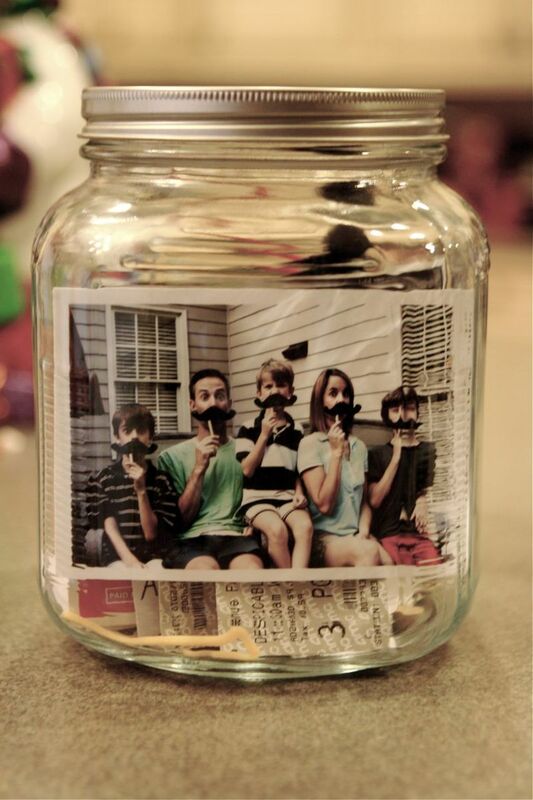 Talk about a creative photo gift for Father’s Day! 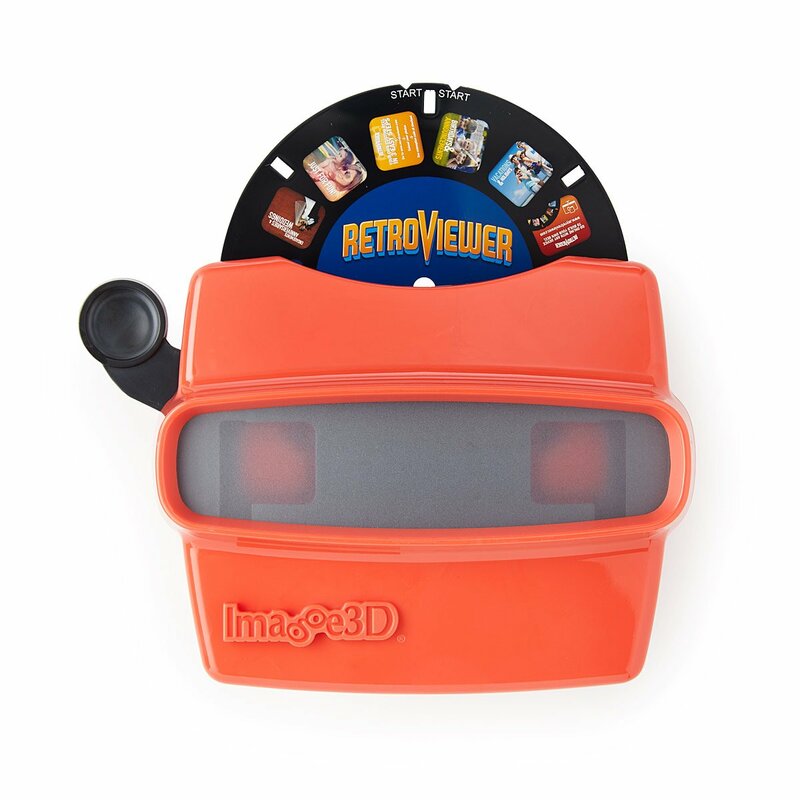 Watch him float away on a sea of nostalgia with this old school Viewmaster-style photo viewer, complete with images of the last family vacation, the entire crop of grandkids, or photos of the kids growing up year by year. 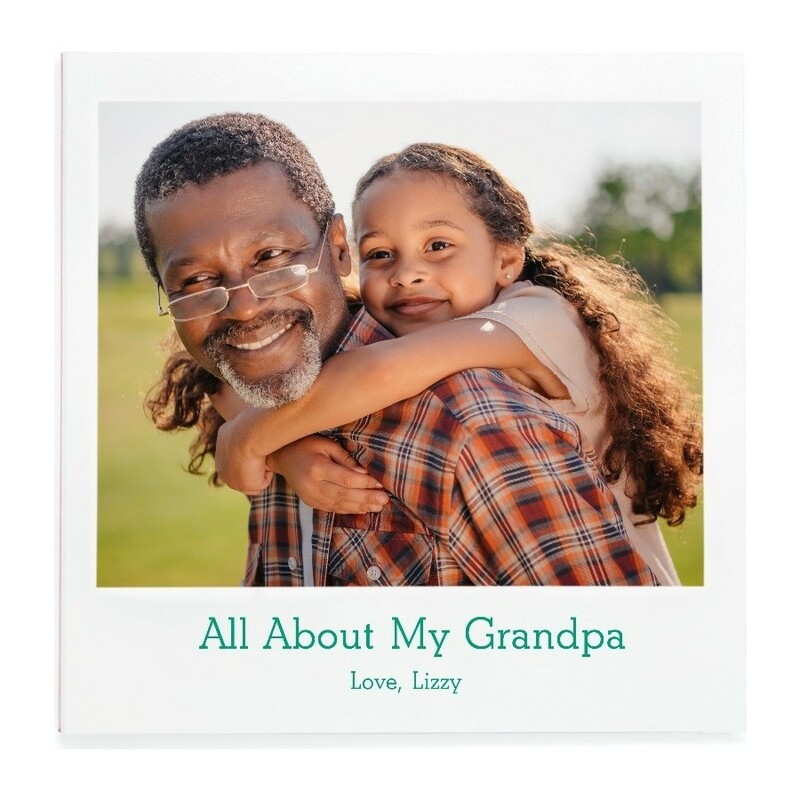 This cool fill-in-the-blank photo book lets kids add their favorite things about Dad (or Grandpa) plus 12 high-quality photos. 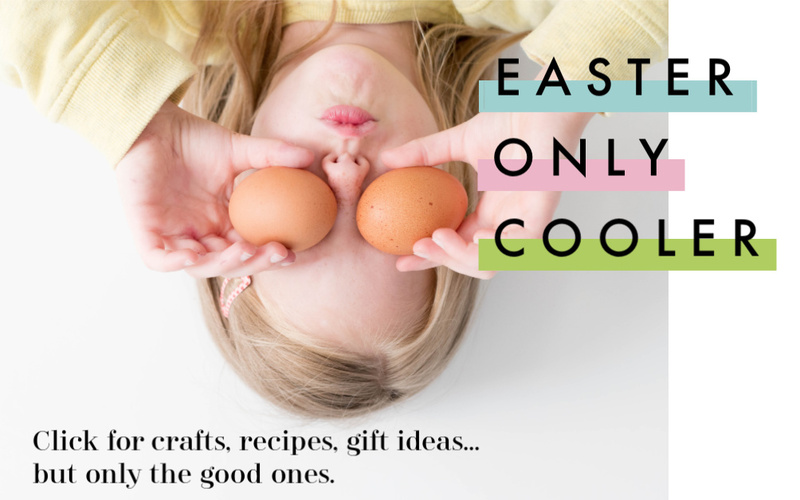 Perfect for younger kids who know what they love about Dad — but might need some help with the presentation. 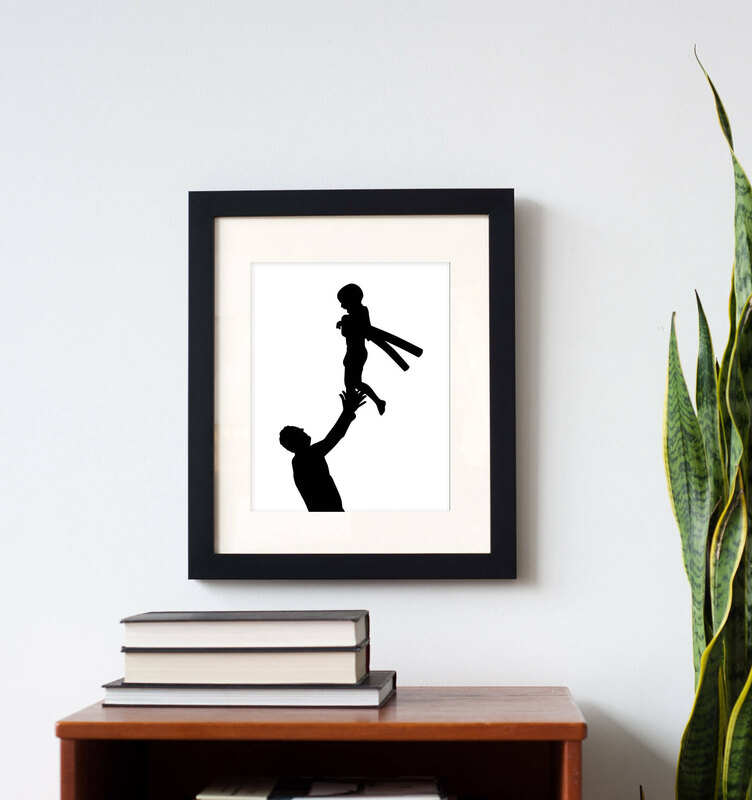 Send in a favorite photo, and the artists at this service will remove the background, creating a super lifelike silhouette that stands on its own. 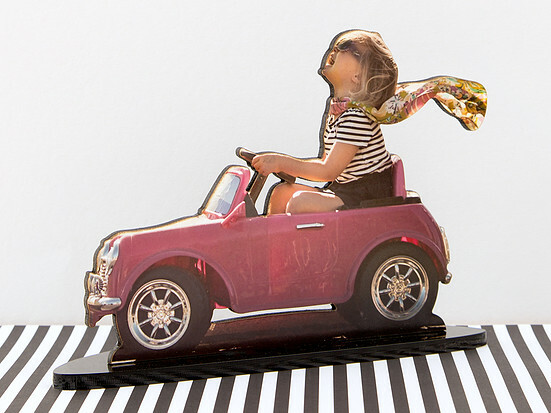 Because having a tiny, always-well-behaved version of your family gracing your desk or night table is guaranteed to make any dad smile. It looks like a watercolor but it’s actually digital art adapted from your own photo by a pro California photographer. 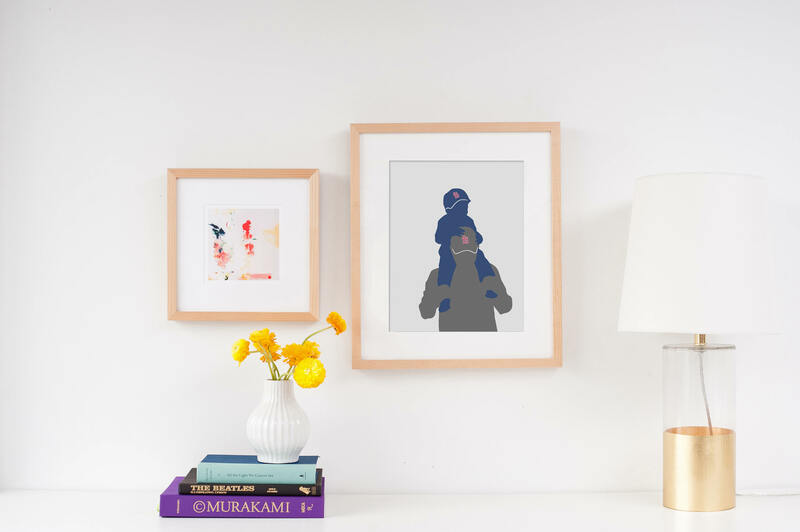 The splashy, artsy ready-for-framing work of art is actually a printable download which accounts for the fast creation and great price. I can’t stop laughing at these quirky socks! 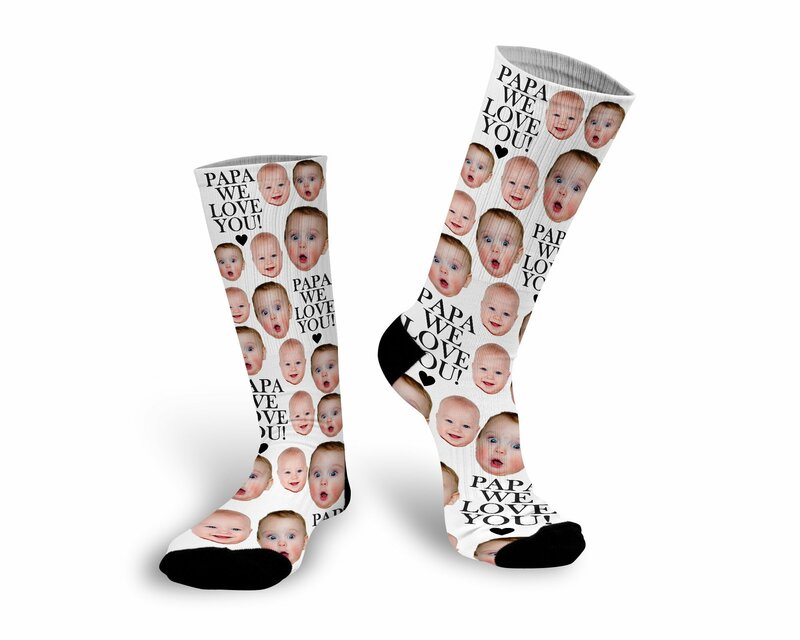 There are several styles and yeah, this is definitely another Father’s Day gift for the man who has everything — or at least has a sense of humor. 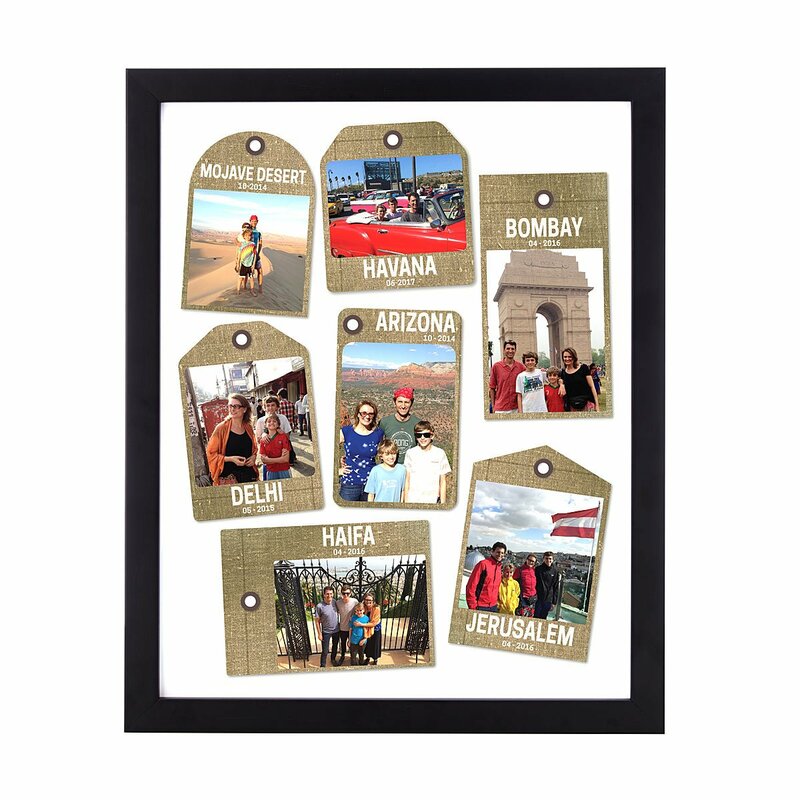 If you’re shopping for a traveler for Father’s Day, or have some family vacation photos you’ve been meaning to get out of the cloud somewhere, this is a really creative alternative to the traditional framed photo. 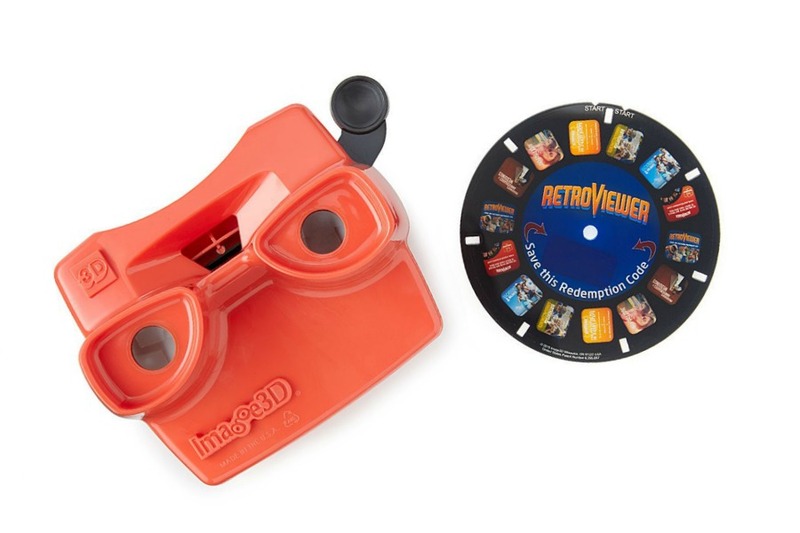 What a cool way for any dad to reference the memories at a glance. Another creative photo gift for Father’s Day: these awesome custom photo labels that come in so many different shapes, sizes and colors. If the dad you’re buying for is an amateur — I mean, ahem, small-batch, artisanal beer brewer — I think he’d flip for these cool labels that are perfect for a Father’s Day brew around the BBQ. You can also peel off the labels of his own favorite six-pack and replace with these. Or hey, they’re great on mason jars too, should the kids be making him some jars full of his favorite treat. While not actually a photo, you’ll need a photo for one of our favorIte shops to convert it into a cool silhouette print like these. Opt for a classic black silhouette or a dual-tone print — or reserve the color for one detail and create a big pop. Who says photo gifts for Father’s Day have to cost a fortune? 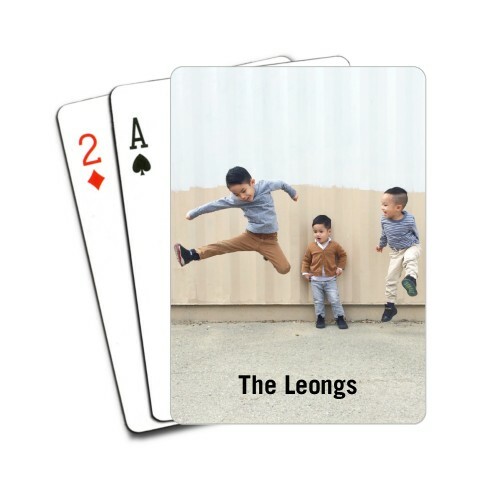 If you’re shopping for a poker legend, or okay, just a very patient Go Fish player, gift him with his own custom photo deck that lets him be joker, king, and an ace at the same time. I can’t overstate the importance of a rough-and-tumble phone case when you become a parent. And if it comes with a sweet picture of Dad’s favorite people? Even better. Great Father’s Day photo gift, whether you’re shopping for a new dad or a granddad of dozens. 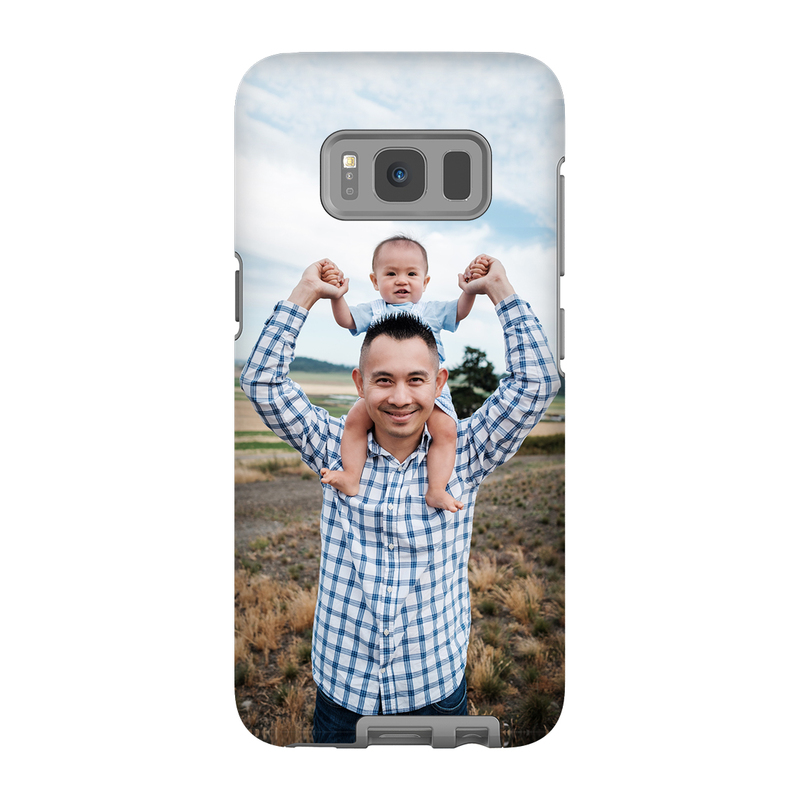 And Snapfish has lots of cases, beyond the Galaxy 8 photo case shown here. If you’re looking for a way to preserve a lifetime of moments (those Hamilton ticket stubs, that A+ report card, your baby’s hospital wristband) or just capture one amazing moment from the past year, this creative DIY photo gift idea is a lovely one. 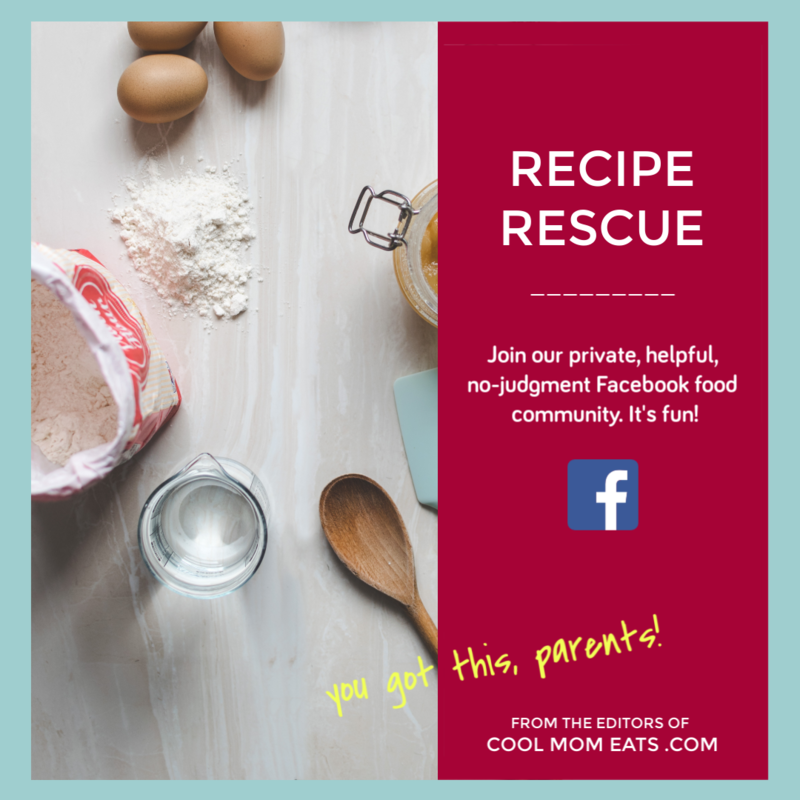 Click over for her tips on making your own. And hey, maybe it helps clear up some clutter, too. 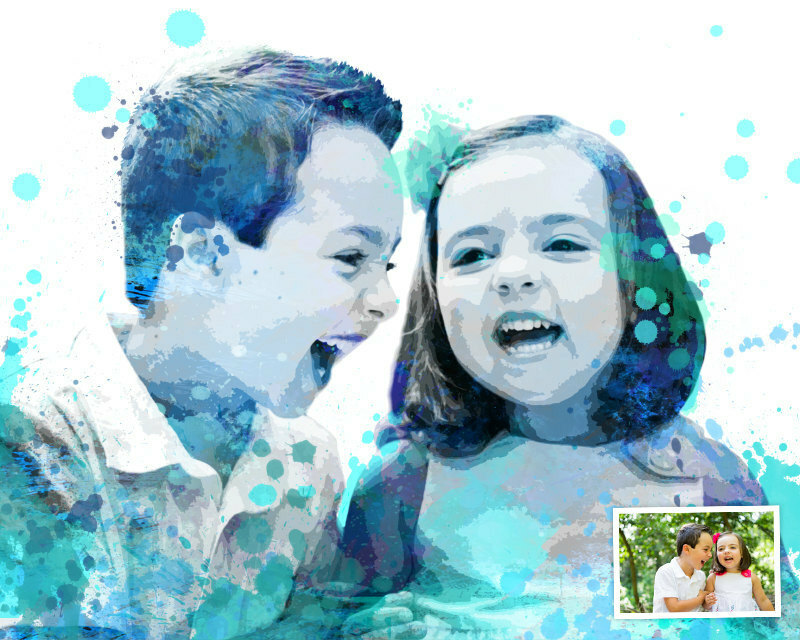 The sentimental fool in me just cannot get enough of this sweet print customized with your photo, a short note or caption, and a foil message that will make him tear up every time he looks at it.